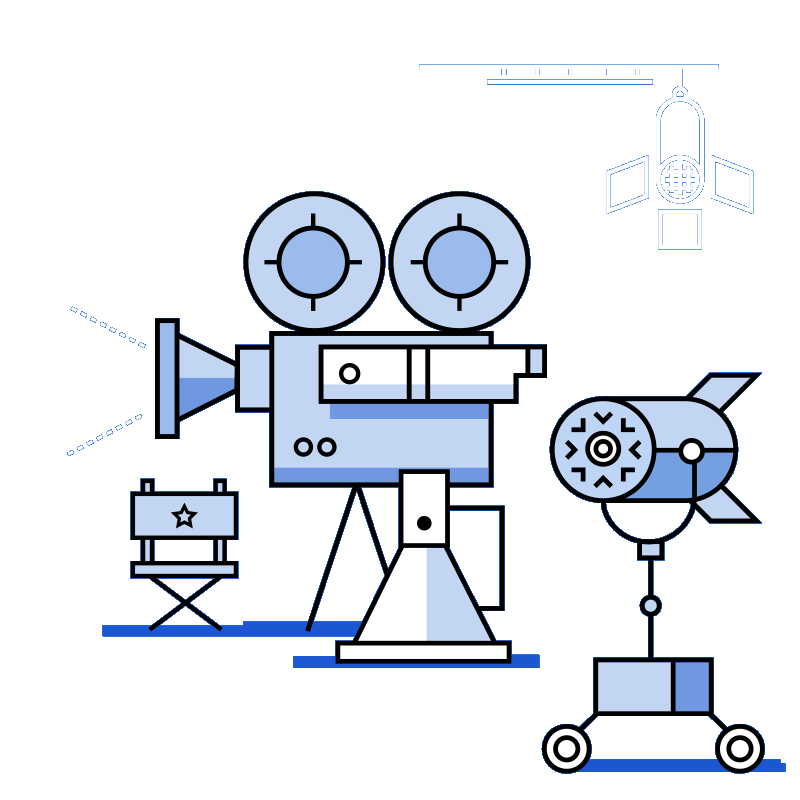 Film and TV drama production is a collaborative process which involves a broad range of departments and people, who all work to realise the director’s vision and bring it to the screen. It consists of four key stages which include pre-production, production, post-production and distribution. The accounts department manages all financial issues in relation to the production and ensures that invoices are paid, purchasing processes are followed, accounting information is monitored and recorded, and expenditure is managed in line with the production budget. The department is also responsible for cash flow management, cost reporting to financiers, and payroll. The department consists of a production accountant, assistant production accountant, and a trainee. Production accountants usually have accountancy backgrounds or significant experience in a production accounts environment. Entry level positions in the department require a high degree of organisation and discretion, a good head for numbers, and some knowledge of spreadsheets. You will need to learn basic bookkeeping practices, as well as coming to grips with various tax and payroll issues. The Assistant Directors (AD) department is the department responsible for supporting the director and crew throughout the shoot. The department, under the director, consists of First AD, Second AD, Third AD and Trainee AD’s. To work in this department, you need great people, communication and organizational skills, as well as creativity and an ability to work in a highly pressurized environment. Another aspect of the AD's role involes ensuring cast go through wardrobe make up and hair and to ensure they are ready when called on set. The First Assistant Director is largely responsible for ensuring that the days filming work is completed, directs the background with their team, overseas crowd control and maintains clear communication between director and crew. The Art Department, under the direction of the Art Director, works to deliver the vision of the Production Designer. The department is responsible for all aspects of the design of the production, including set design, set dressing, props, graphic design and model making. Some skills required in the Art Department include drafting, model making, graphic design, concept art, and set decoration. The Art Department encompasses a broad range of skill set from the very much creative to technical and management skills. The range of skills in this department requires the ability to conceptualize skills and to think visually. To work in the art department, you should have good knowledge of period architecture and furnishing, ability to read technical drawings, familiarity with 3D design packages and architectural expertise. Organizational skills, visual flair, excellent knowledge of specialist and general suppliers are also important. You need to be very good at working as part of a team, able to take direction, communicate clearly and have a high level of diligence and care when on set. The art department also requires buyers who source, negotiate and purchase props and set elements. The Camera and Lighting Department is broadly responsible for the capturing of the final shoot, in collaboration with the director. The work in this department includes roles that are creative, technical and physical. From setting up the shot creatively and technically, operating and maintaining cameras, rigs and equipment, and backing up digital footage and preparing dailies, the work is hugely diverse. The Director of Photography (DOP, or Cinematographer) is the head of department and is supported by a Camera Operator, 1st Assistant Camera Operator (also known as a Focus Puller), 2nd Assistant Camera Operator (also known as a Clapper Loader), and Trainee. The camera department also includes a Digital Imaging Technician, who makes sure digital image files are managed, filed and packaged correctly for post-production. To work in the camera department, you should have some kind of camera, photography or film background or aptitude, be highly creative, have an eye for detail, and possess a strong understanding of technology, visual composition, perspective and movement. The roles are quite physical with a lot of heavy lifting, so strength and stamina are important. You need to be very good at working as part of a team, able to take direction, communicate clearly and have a high level of diligence and care when dealing with expensive equipment. Some productions don’t have camera operators as the DOP tends to operate, particularly on TV productions. The Casting Department is responsible for casting all the acting roles on a project. This is done by means of a casting process which can have two stages. Stage one is development casting, during which time the casting director will attach high profile actors to a project in order to assist with the financing of that project. Stage one is done by making direct offers. Stage two is active casting when the project is greenlit and shoot dates are set; the rest of the cast is identified by means of an audition process. When actors have been chosen the casting director will negotiate, on behalf of the producer, all aspects of the actors’ terms of engagement with their agents. In order to fulfil this specific brief on individual projects, casting professionals need to constantly update their in-depth knowledge of their acting constituency and need to be aware of current industry trends which relate to casting. The construction department interprets, plans, manages and builds all sets and constructed elements of a film. Working closely with the art department, construction departments include trades such as painters, carpenters, riggers, plasterers, as well as specialist film construction roles such as stagehands. This department includes highly skilled master craftsperson roles such as Scenic Painter. To work in this department in a craft role, you need to have the relevant construction-related skills and qualifications (apprenticeship/ CSCS/Safepass, etc. ), and also require specialist knowledge of how these skills are customised in a film environment. Anyone with a construction background would need specialist training and on the-job experience in order to convert their existing skills to a film environment, as well as building their knowledge and skills in relation to period detailing and techniques. You should have a thorough knowledge of the specific requirements of temporary constructions for film, be completely versed in health & safety issues, be an excellent team player, have strong numerical skills, and be adaptable and good at thinking on your feet. Continuity, or Script Supervision, involves closely monitoring what is being filmed each day to ensure that the finished product ends up making continuous verbal and visual sense. Falling under the directing department, the script supervisor works closely with the director and all other departments in terms of monitoring and recording action, props and camera details. The Costume Department is responsible for the design, fitting, hire, purchase, manufacture, continuity and care of all costume items on film/TV. The department collaborates closely with a wide range of other departments for which costume may have an impact, including Camera and Sound. To work in the costume department, you should have a knowledge of period costume and contemporary fashion for all ages and genders. You should be able to get on well with people and have strong communication skills. You will need very good attention to detail and an awareness of continuity for costumes. You will need to work well under pressure and be computer literate. It is an advantage to have sewing and pattern cutting skills. Although all of the departments working on a film or TV production can be creative, the key creative team usually encompasses the Screenwriter, Producer, Director and Cast on a particular project and their creative collaboration and input will drive a large part of the production's success. The Screenwriter is responsible for conceptualising and writing the screenplay, often working closely with a Script Editor or Development Executive to hone characters, plot and dialogue before it enters production. The Director is responsible for overseeing all creative elements of a film, working closely with the actors and the Director of Photography. The Producer is a mixture of creative and practical, responsible for putting together the project and recruiting key talent, as well as overseeing all of the creative, financial and logistical teams and their concerns. The Editing Department is responsible for picture editing and matching with sound editing, sound effects and music. The department doesn’t just work during post-production, it is also active during pre-production and the shoot, collaborating with the director to shape and tell the story in an engaging way. The editing department represents the audience point-of-view in how the film is put together. Editors collaborate closely with the director and cinematographer. The Department consists of a Film Editor, First Assistant Editor and Trainee Editor. The Assistant Editor, with help from the Trainee Editor will organise the footage for the Film Editor. The Film Editor will first cut together the scenes based on the script, adding in sound effects and music, all the while ensuring that there is adequate coverage to tell the story. Then, working with the director, the editor will refine their first cut, sometimes cutting out dialogue or scenes to produce the director’s cut, and thereafter the final cut. In this process the film is formed, and it is often shorter than the original script, and quite possibly in a slightly different order. For this reason editing is sometimes referred to as "the final rewrite". To work in this department, you need a strong understanding of story and structure, and a passion for storytelling. While the roles in this department are largely creative, you will also need strong organizational skills, attention to detail and ability to plan the post-production workflow. The ability to be decisive is essential, as is the ability to work on your own initiative. Good communication, listening and interpersonal skills are important as well as the ability to stay calm and focused during a busy and demanding schedule. The grip department work with the camera department to ensure that camera shots are achievable by building, maintaining, and ensuring the safety of all equipment that enables the camera to capture the shot (e.g. dollys, cranes, tripods, etc.) The grip crew consists of the Key Grip, Best Boy (Grip), Dolly Grip, Grip and Trainee. Working in the department requires excellent mechanical know-how and knowledge of film-related equipment. They should have great stamina, and enjoy finding creative solutions to problems, as well as being a strong team player. The two departments of Make-Up and Hair are responsible for the design and application of hair and make-up, including hair cutting and styling and corrective make-up, as well as specialist techniques such as wig application, facial hair application, prosthetics application, body paint, and ageing effects. The departments collaborate closely with each other, as well as with other departments such as SFX, Camera and ADs. To work in this department, it is important to have some experience in hairdressing or as a make-up artist. You should be highly creative with excellent people skills and have some knowledge of both period and contemporary looks for different ages and genders. It’s also important to stay up to date with new processes, tools, and materials, and to be efficient and organised. The lighting crew is involved in the design, set-up and control of lighting plan in collaboration with the Cinematographer. The electrical department works closely with the lighting crew in the setup and operation of lighting and electrical equipment and supports the camera department on all elements of electrical distribution. The department consists of a Gaffer (or Chief Lighting Technician), Best Boy, Lighting Technician, Generator Operator, Electrician, Practical Electrician and Dimmer Operator. In order to work in the electrical department, you must be a qualified electrician with an interest in the film industry, and be able to translate your general electrical expertise to the requirements of film and camera/lighting set-ups. Lighting requires an excellent eye, creative problem-solving, great team working skills, deep technical knowledge and expertise. The Locations Department is responsible for sourcing and securing all non-studio locations for a film/TV production, a process that begins at early pre- production stage. Location Managers collaborate closely with the director and production designer. The Department consists of a Location Manager, Assistant Location Manager and Trainee. The Location Manager identifies and photographs location options; negotiates and is responsible for issues such as permitting, insurance and certain copyright issues; and manages all logistical issues in relation to the shooting location. This includes ensuring that the location is safe, accessible, and suitable for shooting requirements, including considerations such as noise and light. You should be a quick and creative thinker, excellent communicator, great at dealing with the public, very organised, and have some understanding and appreciation of the natural and built environment. Locations manager are responsible for Health & Safety on set, so awareness of these issues is important. It also helps to have good photography skills, a keen eye for the unusual, and an ability to spot potential and think laterally. A full clean driver’s license and own car is essential. The term ‘props’ refers to any moveable item that is meant to be visible on film. This huge range of objects includes Dressing Props, Hand Props, Hero Props (objects central to the action in a scene), Stunt Props (replica items made of soft materials), and Mechanical Props. Props also include some weapons and foliage. The Property Department works within the Art Department and is responsible for the manufacture, maintenance, transportation and storage of props, as well as prepping props for each day’s shoot and dressing props into sets. They work with the art department and the construction department to build props, and also work with actors and extras in relation to how they interact with and use props. To work in the props department, you should be well-organised, used to working under pressure for long hours in a physical role. You should have basic craft and DIY skills, and be able to work with materials following health and safety best practices. You should have good research skills, and be able to keep basic paperwork. You need to be able to work well as part of a team. The Production Office on a film includes the Production Coordinator, Production Manager, Line Producer, as well as runners/trainees. The production office coordinates many aspects of the production. It generates crew and cast contracts, work permits, travel and accommodation arrangements, insurance issues and many more day to day tasks. It is the core of information distribution to the relevant departments including the distribution of call sheets, progress reports and script changes. The Production Sound department is responsible for the capturing of sound on set and is responsible for sound recording, the management of noise on location, the placement of microphones (both on actors and onset), and managing equipment, budget, and interactions with other departments. The department consists of Sound Mixer, Boom Operators, and trainee. You don’t require any formal qualifications to work in sound, but the roles do require specialist training in the area. You should have excellent listening skills and attention to detail, have an interest in and aptitude for electronics, be able to collaborate effectively with other departments and be a good problem solver. The stunts department is responsible for any stunts, including action, fighting or driving stunts. They devise, set-up and perform complex action set pieces in collaboration with the director, and often collaborate closely with the Special Effects team. The department includes the stunt coordinator, stunt performer, and stunt riggers. Stunt performers often progress to stunt coordinator. There are a number of categories within stunts that require various qualifications, including fighting/martial arts, horse riding, driving, falling, water, agility, strength, and other specialist skills. Stunt coordinators should be well versed in Health and Safety, have an awareness of the physics of motion, and be highly collaborative, with strong visual and choreography skills. Stunt performers should be physically fit, know how to work collaboratively, and have strong communication and acting skills. Special effects refer to mechanical, whereas visual effects refer to digital post-production. Mechanical effects (also called practical or physical effects) are usually accomplished during the live-action shooting. This includes the use of mechanized props, scenery, scale models, animatronics, pyrotechnics and atmospheric effects: creating physical wind, rain, fog, snow, clouds, etc. Making a car appear to drive by itself and blowing up a building are examples of mechanical effects. Mechanical effects are often incorporated into the set design and makeup. For example, a set may be built with break-away doors or walls to enhance a fight scene, or prosthetic makeup can be used to make an actor look like a non-human creature. To work in this area, a background in science, technology or engineering is useful as well as great creativity and problem-solving skills. Having a strong awareness of health and safety is exceptionally important also, as well as great communication and people skills.